Join our 10-week-long summer internship program and experience opportunities ranging across all landscape service lines and corporate functions. 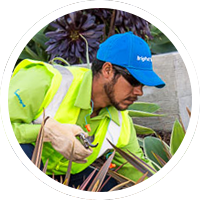 From exterior maintenance, account management and tree care to operations and sales, we provide you with real-world experience. An internship at BrightView is the first step to a bright career with an industry-leading company.